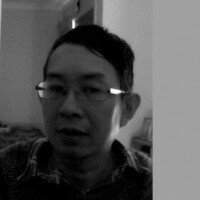 Rainier Wong is the Managing Director of Funiworks Pty Ltd. With over 11 years in the information technology sector and 4 years in running a successful online advertising company, Rainier Wong has established himself as a distinguished professional amongst his peers and predecessors in the Australia region. Rainier is the sole proprietor and founder of Funiworks and handles all aspects of his business from business development to operations all the way to the minor details of running the key elements of the website. He is an expert in business development, strategic planning, operations, flash technology, HTML, MySQL, PSP Scripting and PHP. Rainier holds a Graduate Diploma in Internet and Web Computing from RMIT University and a Bachelor of Science in Management from Southern Illinois University, Carbondale. He was awarded the TAFE Award. Currently he looks to advance his business opportunities into a regional and international sector.